Refraction melds the various colours of contemporary jazz composition and improvisation together into a compelling musical soundscape. 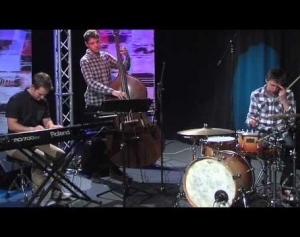 Led by drummer Chris Broomhead, Refraction fits perfectly in the modern jazz trio universe. Refractrion’s debut album As We Were was nominated in The Age Music Victoria Awards 2015 for ‘Best Jazz’ Album and the trio has since crated two more stunning albums, Inerrant Space and Reimagined. 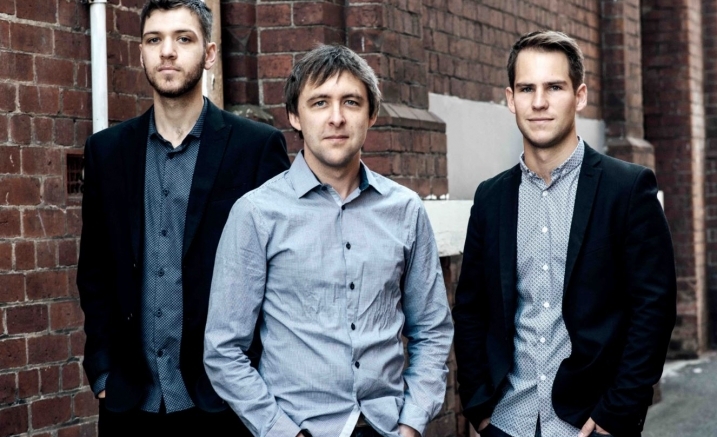 Don’t miss Refraction bring the lyrical and melodic sensibility of its music to the Salon in a one-hour performance that features pieces from the trio’s three recordings plus some new compositions. Some meditation on the ethereal, perhaps for all the delicate innocence taken too soon in this world of fast and slow evolving. ‘Reimagined’ continues Refraction’s musical evolution, as it expands further into the territory of melody-driven, elegantly layered compositions with lots of space for collective interaction and improvisation. As in previous albums, there is little fiery or gimmicky about the music on this Refraction album. Like the northern European jazz found on iconic label ECM, the songs are impressionistic, atmospheric, lyrical and quietly stated. Their evolution sees the trio broadening its musical possibilities, asking more questions and more often taking the listener by surprise.